ECT, the manufacturer of R-MC, has been in the gas turbine industry since the 1970's. R-MC Compressor Cleaner is an environmentally safe concept in gas path cleaning of gas turbines. 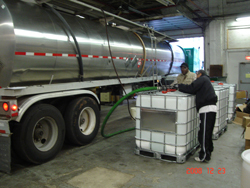 R-MC is biodegradable, nontoxic and non flammable. ECT is the leading supplier of wash skids for the gas turbine aftermarket. From simple manual configurations to complex, customized delivery systems for specific applications, ECT can meet any requirement. R-MC is the superior compressor wash cleaning formula for removing oil contaminated build up and salt in the compressor and compressor diffusors. With R-MC, the cleaning procedure is easy, fast and safe. R-MC is non-toxic, biodegradable and non-flammable. The next big event for ECT will be 501F User Group Scottsdale, Arizona on February 17th, 2019. 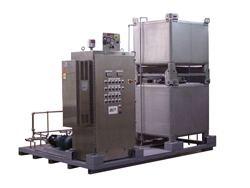 ECT has manufactured compressor wash chemicals and wash skid systems for the turbomachinery market for more than three decades. ECT’s full line of products are fabricated in its ISO Compliant facility located in Bridgeport, PA.
At ECT we understand that we must first earn our customer's trust and then earn their business every day. And that is what we strive to achieve in every facet of our business. From engineering and manufacturing to customer support we are here for our customers. Whether they are brand new, 30 years old or simply considering ECT to meet their needs. 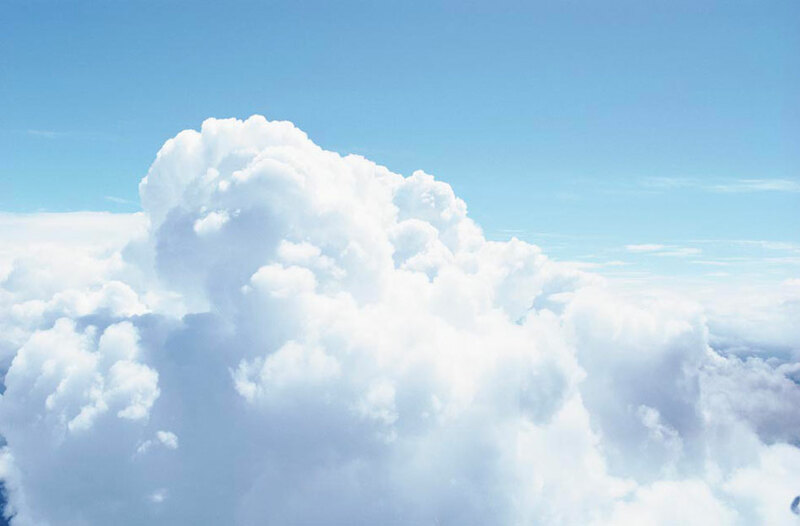 Extend the working lives of your jet engines with our custom-formulated cleaning products (R-MC, KE4095, T-70), machine matched application wands, and end-to-end delivery systems. Keep your gas turbines clean, efficient, and economical with our specialized line of cleaning solutions (R-MC, PowerBack, T-70, C-270, C-950), custom fitted application nozzles, and user-friendly delivery systems. We meet and exceed cleaning specifications for GMC, Caterpillar, Wichmann, Doxford, Sulzer, SACM, Wartsila, Ruston, GE,MAN, Leyland, Deutz, B&W, Alpha, Mirrlees, and Fairbanks-Morse. Depend on our T-70, R-MC, and KE4095 cleaning products and machine specific delivery systems to keep your marine and ground based diesel engines running for long lives. 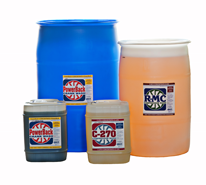 Keep your compressors clean and efficient with our Relion, R-MC, and PowerBack cleaners. Applied with our tailored delivery systems, you can count on long working lives and economical operation. For over thirty years, we have imagined, designed, built, and delivered our industry’s most successful engine cleaning products and application hardware. We’ve earned our position of market leadership by inventing and innovating. And we’re always eager to engage a new challenge. Contact us for a new solution to your engine maintenance concerns. Download our Compressor Wash White Paper describing the R-MC difference. ECT is looking to build relationships with sales professionals and distributors. If you would like to get involved with an established, successful & expanding business please contact us.